Kanopy Downloadable Media Video New! Kanopy includes acclaimed movies and documentaries on-demand from award-winning filmmakers. Browse the collection of over 30,000 documentaries, classic films, world cinema, popular movies and films for children ages preschool – 12. Movies, TV shows, music, eBooks, and comics for online streaming or download to mobile devices, with no waiting lists. Borrow up to 10 items per calendar month. Starting October 10, 2018, audiobooks are no longer available through Hoopla Digital. Learn more about this change here. Thousands of digital titles available for download directly to your computer or mobile device. Downloadable eBooks, audiobooks, and video for children, including Boston Public Schools summer reading lists. 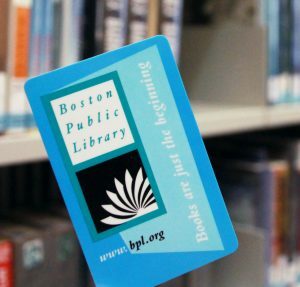 Downloadable eBooks and audiobooks for teens, including Boston Public Schools summer reading lists.